That time of the month: Should I practice? On the rag. Aunt Flo. That time of the month. Shark week. Y’all, we have to get over this period taboo. Half of the population, give or take, bleeds (or has bled, or will bleed, at some stage of life) once a month, so it’s pretty ridiculous that it’s this thing that we’re not supposed to talk about. After all, as Ashtangis we’re totally comfortable talking about poop (you’re not? you will be), so this should be on the table as well. You have probably heard that you shouldn’t invert when you’re on the rag. Because gravity. You want your menstrual fluid (see? it gets easier) to flow down and out, and going upside down interrupts that process. Good. But what about downward facing dog? Your organs are upside down in that pose too, and you spend more time in downward facing dog in a primary series practice, say, than you do in headstand. And gravity is not the only force working on your body; you are (hopefully) engaging mula bandha and uddiyana bandha, both of which encourage energy to flow UPWARDS and INWARDS. Engaging bandhas for an hour and a half (even if you lose them, then find them, then lose them, then find them, etc) seems to me a bigger interruption to the down and out flow than a ten breath shoulderstand. So, should you practice but just not engage bandhas? Try it! (Don’t try it.) Bandhas are an integral part of the practice and do a lot to keep you safe, build heat, maintain your concentration, and so on. Practice without them is missing an essential ingredient. Instead, take two or three days off, depending on the heaviness of your flow. If you like, create a ritual during those times: meditate, take a bath, self-massage with oil, do some gentle hip-openers or restorative poses, or just sleep in. In time you may see more regular, shorter, lighter periods. I noticed these effects myself, and I’ve heard many similar stories as well. Also worth noting you don’t have to call it “ladies’ holiday.” I thought it was the silliest phrase at first (holiday? really? ), then I started using it as a joke, and now I find it extremely accurate. Whatever floats your boat. You can go on calling it Shark Week if you like. This is a re-blog of a post I wrote several years ago, because periods never go out of style. This is a post I wrote about six years ago-– I thought it was worth reviving here on the new blog. Practice alone! That sounds familiar. 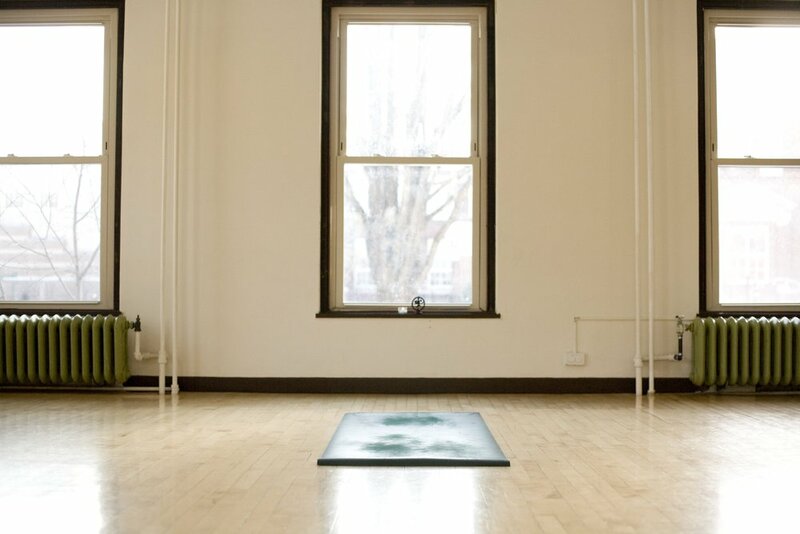 Ashtanga is characterized by this “practice alone” model, even in a Mysore setting where the teacher is available if needed, but otherwise we are left to do the work on our own. There is always something hard in an Ashtanga practice, something “just out of your reach.” And that something is different for every person. In this method, you are confronted by that something every day, no escaping it or circumnavigating allowed. Every day, until it gets easier, and then there’s something else to frustrate you. Boom. Progress. Hi! I'm in the process of redesigning the Ashtanga Yoga Minneapolis website. I'll be transferring some of my old blog posts to this space, and adding new ones in time! Thanks for reading.